Why have childcare/ entertainment at your wedding? The answer to this is simple, children get so bored and restless at weddings, especially during the formal parts such as the ceremony and wedding breakfast in particular. I once was a child myself and remember this well. I would get bored, start to play up a little, then my parents would get frustrated with me and quite often we would leave early! Working in the wedding industry for over a year now and attending so many weddings in this time, I have not seen a wedding breakfast generally last under 3 hours. This is where All Events Childcare can help you….. This is where All Events Childcare can help you…..
We offer many event childcare services with a big difference!! We offer many fantastic services to keep your little guests entertained and amused in a safe environment. With our most popular service being our mobile creche, we will come to the venue where you are holding your wedding and set up a large play area for the children to let loose, burn off some energy but most importantly… Have fun!! We bring a large selection of age appropriate toys, books, games, a small bouncy castle, inflatables and a non messy craft, activity table. We also have our garden games for outside enjoyment and our giant parachute. During our creche sessions we will play a range of party games and finish off with our very popular Kidz mini disco where we have LED lights, a disco ball, bubble machines, glow sticks, light up balloons and mini disco classic music. AEC children’s photo booth is our newest service. This comes at an additional cost and is totally optional. 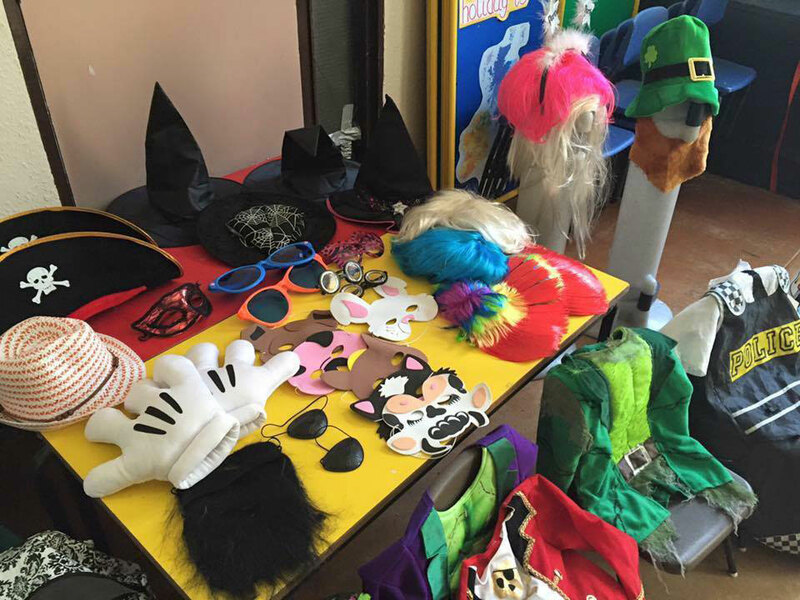 With this, we will have many dressing up clothes, funny hats, glasses, wigs, beards and masks for the children to have fun with. 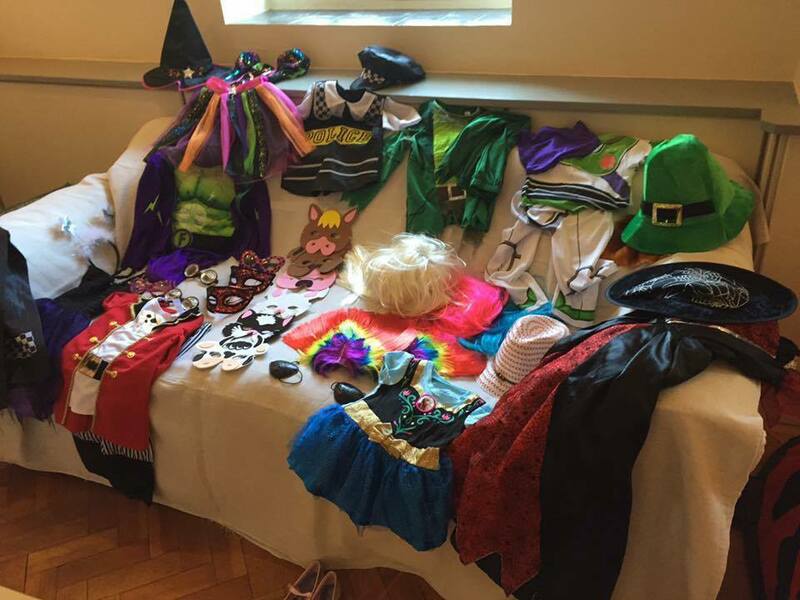 They can decide what to wear or how they want to look and we will take a Polaroid photo of them dressed as they wish and displayed for the parents to take away as a momento and keep sake when they come to collect their child. As we go into the evening, we have a movie night where we will bring Classic Disney movies and popcorn. This allows the little ones to fall asleep if they are tired and the older ones to just have some chill time, if they are not next door having a bop with their family and friends. Quite often, our slumber party will tag on from our mobile creche service where some of our nannies will stay the night with a group of children. We will watch DVDs and then brush teeth, get changed and settle to sleep. Maybe you have children yourself and are worried that a grandparent, family member or friend may miss those vital ‘I do’s’ because your little one is getting cranky during the service, fear not as our one to one childcare/supervision service is the one for you. One of our qualified, DBS nannies will arrive on the day to look after your child/children assuring that they remain very much part of your special day but kept safe at all times. Our bridal packages are becoming more and more popular as you and your new husband or wife get to spend your first night as man and wife on your own, without your little poppets. One of our nannies will stay overnight with your little ones and keep them entertained the next morning so you can treat yourself to a lie in. The nanny on duty will happily give your child/children breakfast so you can perhaps treat yourself to room service or just head down to breakfast at your own leisure and eat in peace. The aim of All Events Childcare is to ease the pressure and worry of not knowing what to do with the little ones on your special day to keep them amused and entertained. Leave it to us and we will guarantee your little guests will have a party of their own.